That comment made me laugh really hard and even though I had never thought about it, he’s right! So I guess the idea is that you shouldn’t take a big whiff of the Feta as you’re pouring it into the rest of the salad. If you can get past that, it’s all downhill from there. 😉 All joking aside, the Feta cheese really makes this recipe so you don’t want to forget it. I wanted to make this for my sister while I was home over Christmas, but with her being eight months pregnant I knew she shouldn’t have the Feta even though she loves it. I debated making this as is and then offering it to everyone except her, but that seemed a little torturous and just plain rude. Then I thought about just leaving the Feta out, but I couldn’t imagine this without the Feta. So I’m just going to have to wait until this summer when I’m close enough to have her over for lunch. Rinse and drain quinoa, then place in medium saucepan. Add the 15 oz can of chicken broth and bring to a boil over medium heat. Once the quinoa boils for one minute, turn the heat down so it simmers. Cover and let simmer for 15 minutes or until the broth has been absorbed by the quinoa. Let cool to room temperature. 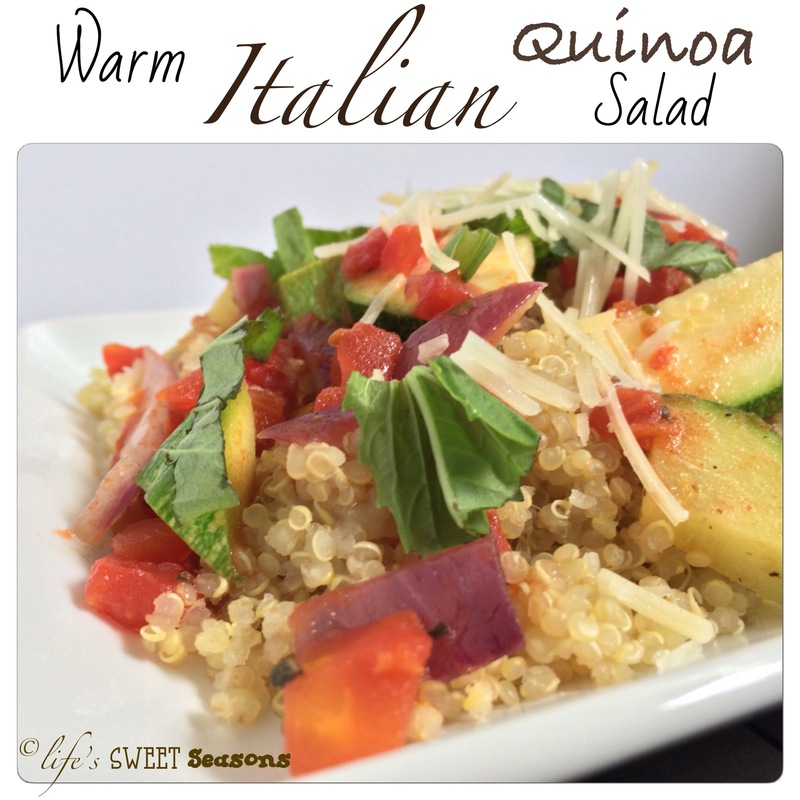 While quinoa is cooling whisk olive oil, red wine vinegar, minced shallot, oregano, salt & pepper in a small bowl. Let stand for about 20 minutes to allow the flavors to merry. 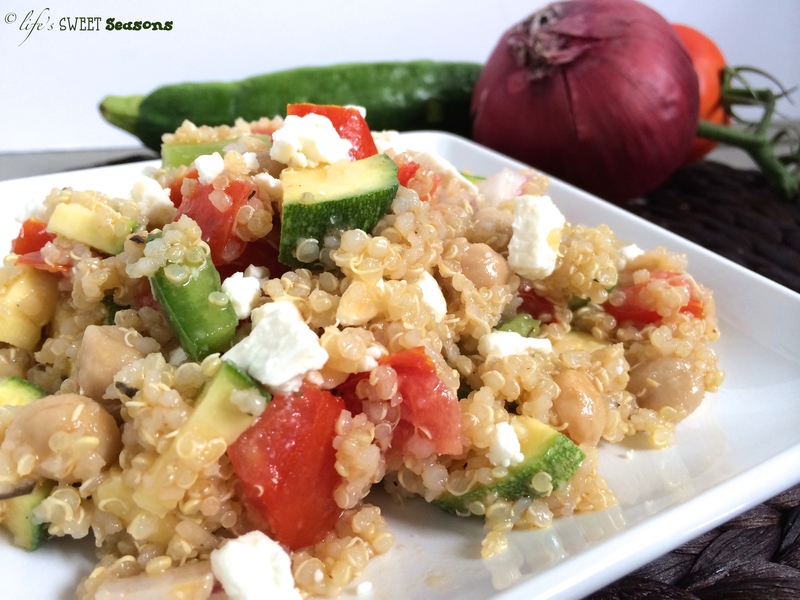 Combine vegetables, quinoa, chickpeas and olive oil dressing and mix well. Gently fold in feta cheese.